This statement is not far from the truth but the reasoning behind why it’s a good management decision may surprise you. When Patriot LWM first began management efforts on a 250 acre tract with 132 acres of crop production agriculture and the remainder in timber and other cover types, the deer damage issue was at a breaking point. Hunter harvest practices were the first issue to get a facelift on the property including the increase in the reduction of adult female deer (does) and implementation of other techniques in line with the principles of “Quality Deer Management”. Initial population analysis identified the need for an extremely high number of female deer to be removed from the property, so much so that alternative harvest techniques needed to be considered. A well rounded wildlife management program incorporates habitat and forage management into its population control measures. So as a wildlife manager I am somewhat partial to the idea of supplemental food plots as a way to create a year round nutritional program for the overall health of my white-tailed populations. 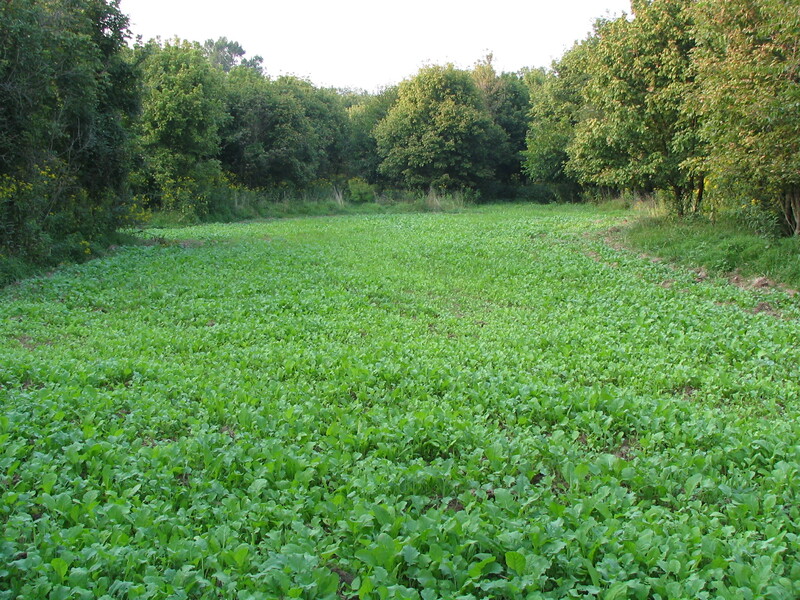 Food plots of varying species (such as clover, chicory, cow peas, etc.) with varying maturation times can be installed to supplement existing food sources (row crops, acorns, etc.). They can also fill gaps in the deer’s diet after other food sources are exhausted, such as after crops are harvested or acorns are depleted. 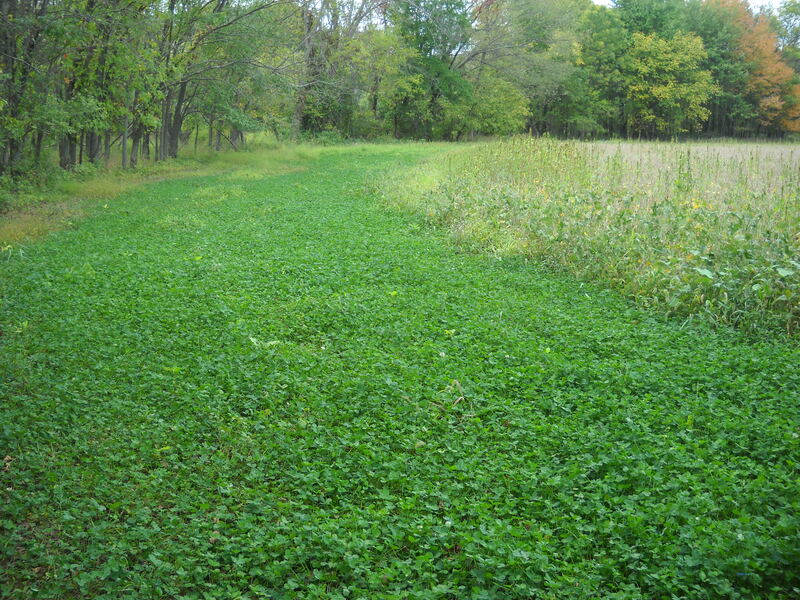 Depending on their intended use and location, it is very simple for supplemental food plots to double as a diversionary food plot as well. 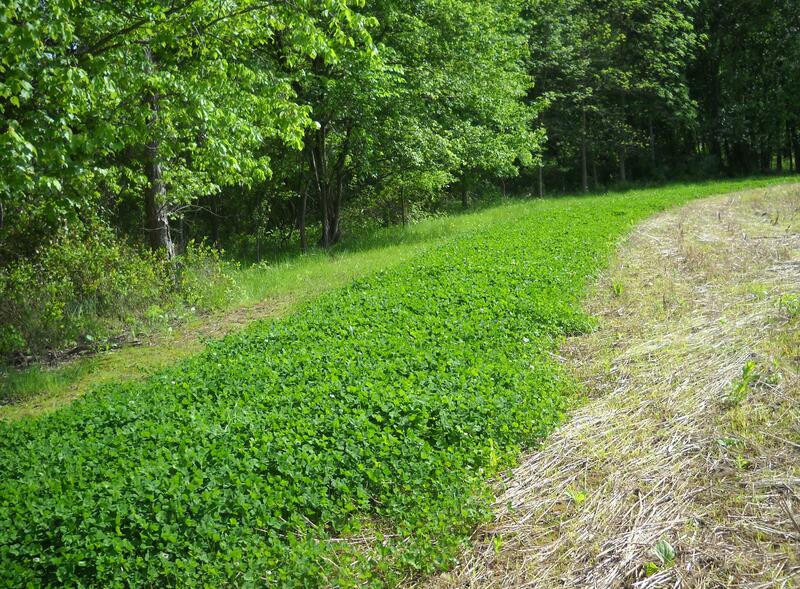 My definition of a diversionary food plot is simply a plot installed for the purpose of diverting a deer’s feeding attention off of one source and onto another, such as off of row crops and into a clover mixture. Once again, your species selection along with its location will be the main determinate of the success of that diversion. Planting something deer have no intention of eating until late December will be of no comfort as the corn and soybeans get devoured in late summer. Patriot LWM installed a mixture of clovers and chicory based on their perennial nature requiring minimum maintenance and also their high tolerance to deer pressure. For the purposes of our project, Patriot LWM worked with the farmer and located a mutually beneficial site on the property. 15-30 feet of field edge bordering existing tree lines were donated to the “diversionary food plot fund”, another fact which raises eyebrows in an agricultural community hesitant to give up tillable acreage to the wildlife battle. Let’s take a closer look at the benefits of this technique. Attracts deer from neighboring properties which may not have effective management programs to allow their harvest during daylight hours instead of them entering onto the property to feed outside huntable hours. In later blog entries we will take a closer look into the specific results of this project but initial findings are very positive. 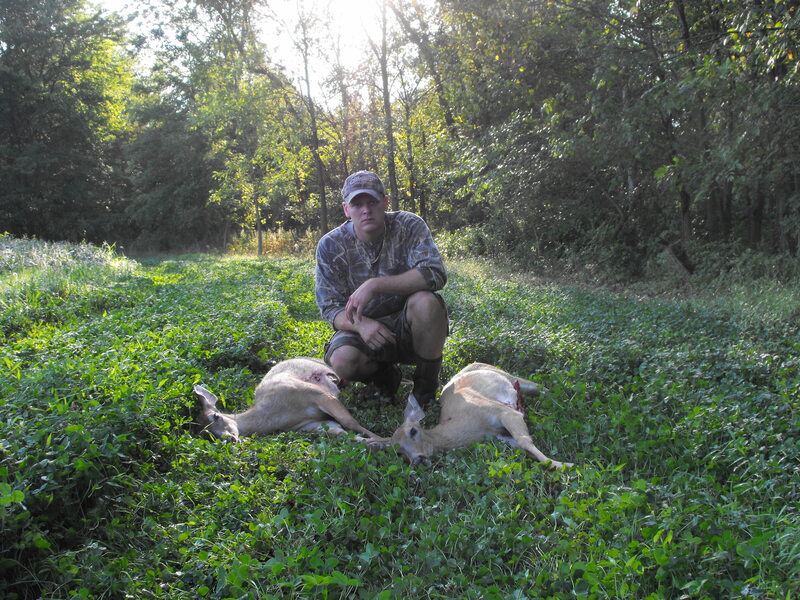 Diversionary food plots coupled with educated hunters practicing the principles of “Quality Deer Management” should be an option worth exploring for many landowners and farmers trying to win the war on deer damage. Stay tuned! Click to subscribe to this blog and stay up on the latest Patriot LWM news and stories.